I am such a girl! I love to paint my lips with pretty colors, but I do not like the hassle of lip stick smears on my glass, or it rubbing off too fast. Well, that is not the case at all with lip stains. Younique's Moodstruck Minerals Stiff Upper Lip lip stain is PERFECT! I have always loved lippies. I have always been able to pull off a dark lip, but as I am getting older, and learning more about correct color choices, I am sticking to those calmer colors. These lip stains stay put! They are absolutely amazing, and they are so beautiful. 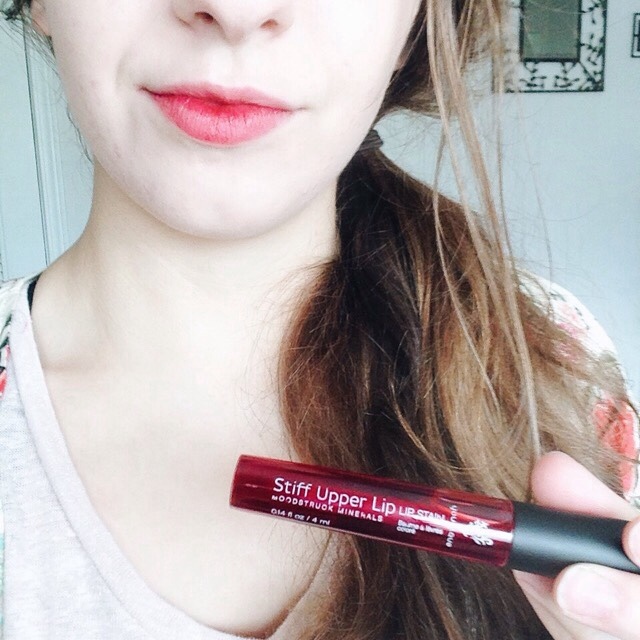 I put this lip stain through some tests to see if it withstands drinking out of a glass, eating, and the tissue test. These photos were taken after the tests were performed, and it still looks awesome! There is a video of me doing the tests at the end of the post. I am wearing Moodstruck Minerals Stiff Upper Lip lip stain in "Sappy." I felt it was the perfect color for me to begin with our lip stains. As Younique presenter, I am making it a goal to try all of our products. 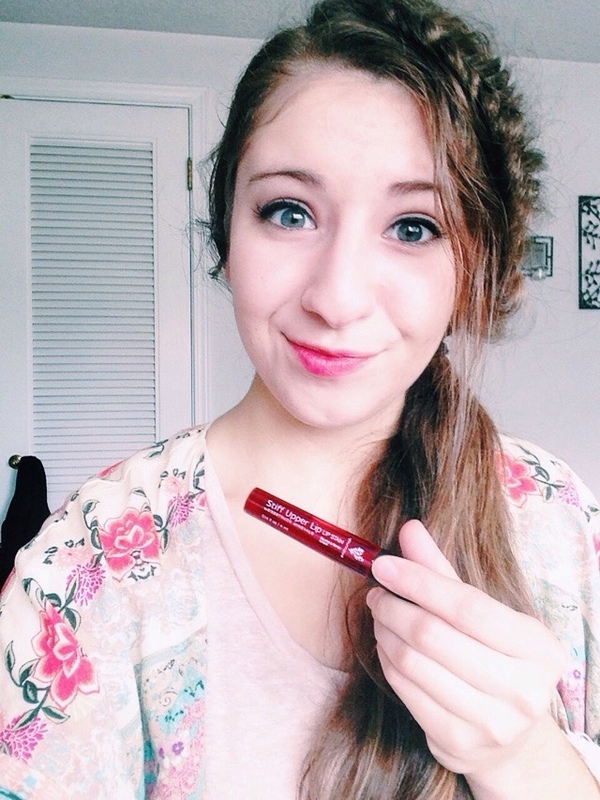 This lip stain is a definite keeper! I love the fact that it lasted me all day. It left my lips pretty and painted all day long, through all my classes, and through lunch. I am so impressed! This color is just so pretty! I knew it would look great on me! I would love to venture into bolder colors with the lip stains, so that is my next makeup adventure. Since these lip stains last practically all day, the bottle of the lip stain lasts for a very long time, so their price of $22 is not shocking for the quality, and for how long it lasts. 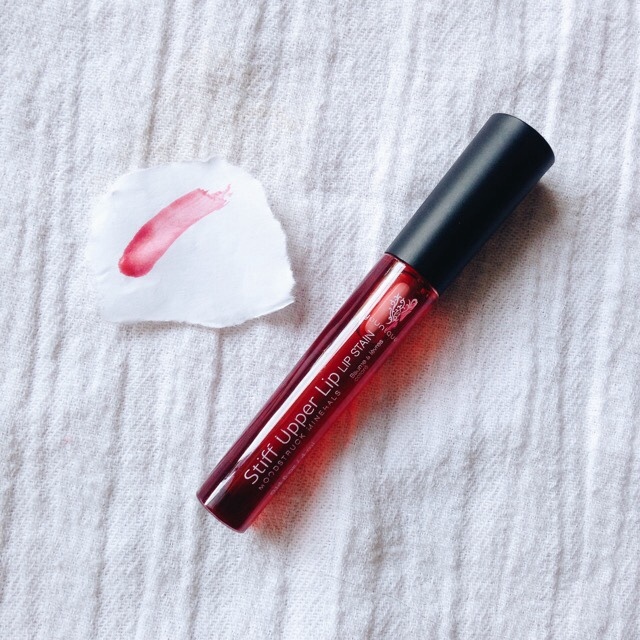 The best way to use a lip stain is after you exfoliate your lips, moisturize your lips, and keep your skin (and lips) hydrated so that your lips look great under the lip stain. Dry and flaky lips under lip stains do not look good at all. Another really great benefit about this lip stain is that you can apply lip gloss or chapstick over the stain once it dries. It won't budge! Not only will this lip stain stay put, but Younique's products are all-natural, organic, chemical free, carcinogen free, gluten free, and hypoallergenic. It makes me uneasy when a lippy contains harsh ingredients, and I am putting it near my mouth! Not cool. I don't have to worry about that with Younique's Moodstruck Minerals Stiff Upper Lip lip stain, or any of Younique's products because they are all natural, and all of the amazing things listed above. No harsh ingredients here! No coming into close contact with hazardous ingredients that I should not be consuming. Just all-natural goodness, and of course prettiness. In the video below, I am demonstrating just how versatile these lip stains are. I ran it through three tests, and it passed! 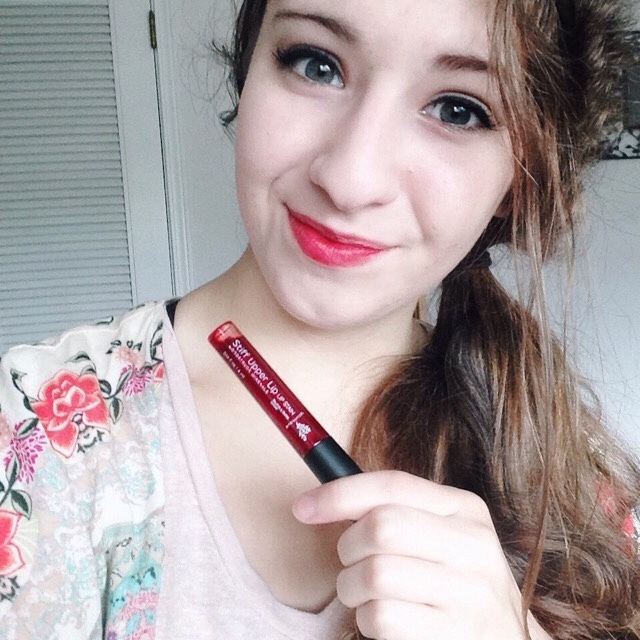 These lip stains are so fantastic! 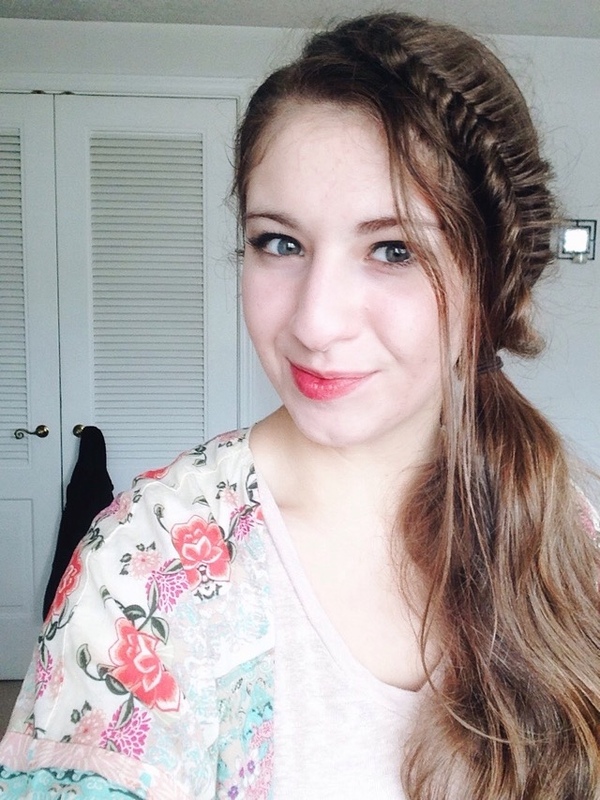 I don't have to reapply my lip stain throughout the day. I can do it once in the morning, and be done. It stays on! Watch the video below to see this lip stain pass those tests. 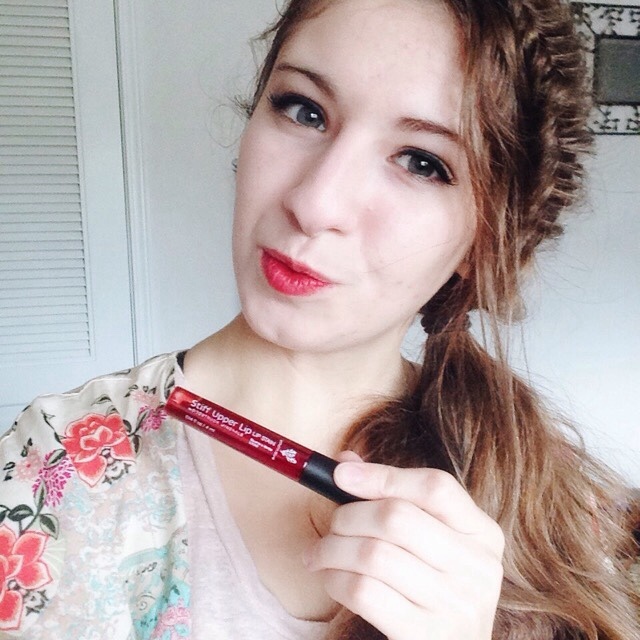 To purchase the lip stain, or any of the other AWESOME products that Younique has, visit youniquecourtneyb.com. You will not regret it! I am in love with Younique makeup. I have stopped using my other makeup. I only use Younique because IT WORKS! I have never used such high performance makeup before, and I only wish that I had tried it sooner.